The clear and cubic form and the unobtrusive colouring make the Bega 33341 LED wall light a discreet eye-catcher. The elegant wall lights by the German high-quality manufacturer Bega impress by their unobtrusive look. 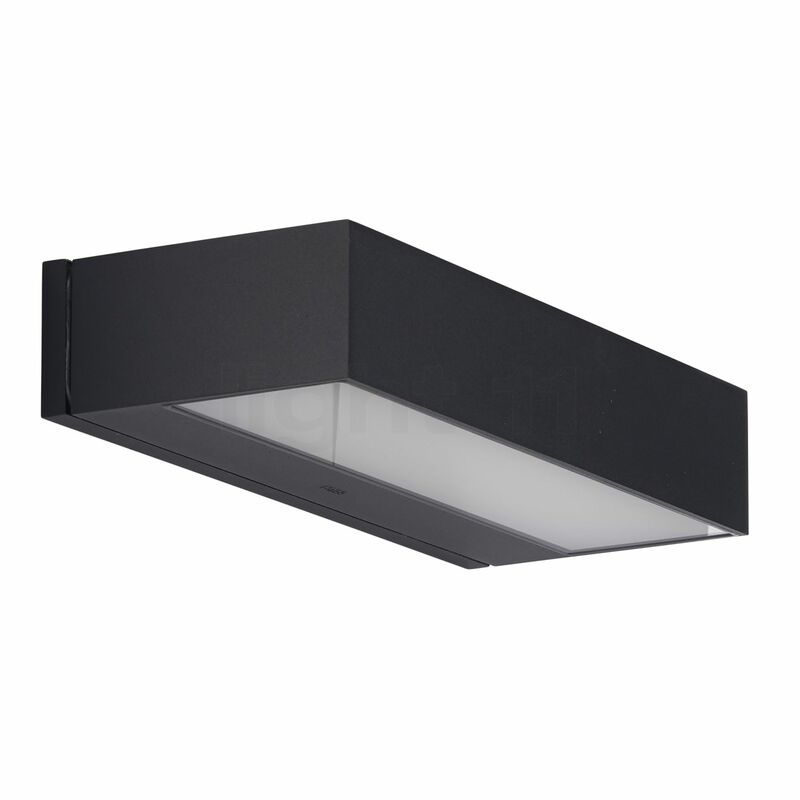 The luminaire body of the 33341 is made of anodised aluminium and stainless steel; white safety glass encloses the reflector. This wall lamp is available in white, graphite or with a silver-look finish. The Bega 33341 LED wall light is the wider version of this model series. A version with a width of only 20 cm – the Bega 33340 LED wall light – is also available in our shop. Thanks to the two light emission apertures provided with safety glass, the 33341 emits its light upwards and downwards. The Bega 33341 wall light impresses by its purist design that is limited to a clear shape. Thanks to the double-sided light emission, the Bega 33341 LED wall light emits its light upwards and downwards along the wall and thereby ensures a glare-free illumination. With a colour temperature of 3,000 K it suffuses its surrounding area with indirect, warm-white light. Furthermore, it turns out to be very resistant: as it is designed in accordance with protection type IP64, which means that it is dust-proof and protected against splashing water, the Bega 33341 LED wall light is ideally prepared for used under adverse weather conditions. Additionally, this light fixture made in Germany is very economical due to the LED technology employed. The 33341 LED wall light only requires a power input of 11.8 watts to achieve a luminous efficacy of 452 lumens – even a conventional 40 W incandescent lamp cannot achieve such a level. We were searching for somethin simple, lighting up and down. This light is exactly what we wanted, well made, in white color on white wall fits perfectly. Looking forward to nice evenings. Tell other customers and us about your experiences with the 33341 - LED wall light ! 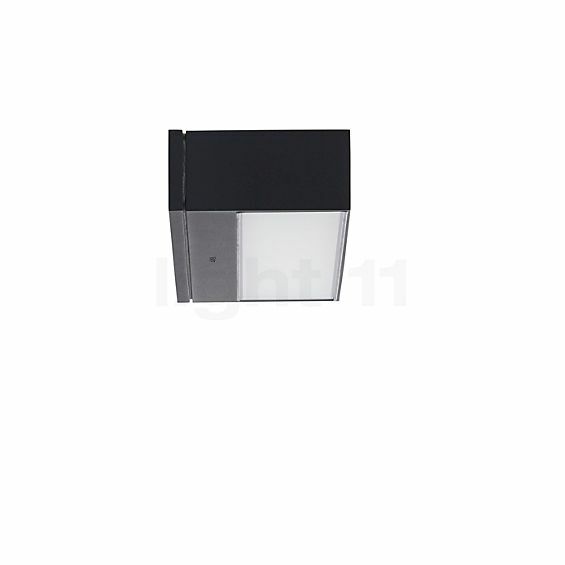 The 33341 LED wall light is ideally suited for use in outdoor areas. One area of application is the house entrance where this energy-efficient light source ensures reliable orientation. Speaking of save and reliable: with regard to the rising number of burglaries these days and an increasing uncertainty among the population a deterrent outdoor illumination might be a real blessing. The 33341 LED wall light also scores points with its harmonious light and discreet look when installed on a terrace or a balcony.